Support your Buckaroos this Friday, November 28, at a pre-game pep rally. The pep rally will be held at 6 pm on the football field by the band shell. All are welcome to attend! The game will begin at 7 pm. Posted in Buckaroo News on November 25, 2014 by The Buckaroo Blog. It’s going to be a lot of fun with music, door prizes for coaches and competitors, concession stand (chicken strips, cheeseburgers, hamburgers, fries, nachos, popcorn, drinks, candy, pickles, hot dogs), 50/50 raffle every 2 hours, and a fun coaches shoot in between divisions! Please arrive at least 30 minutes before your scheduled time and pick up your packets at the check-in table when you enter. Shooters must be on the waiting line ready to start at the designated time. A competitor does not have to compete with a team to qualify for individual awards. Competitors registered with a team will automatically qualify for individual awards. A team is considered to have at least 12 archers (4 girls, 4 boys, 4 either boys or girls). If you want to bring more than 12, we will score the teams the same as they do in regionals and state by taking the top four girls’scores, top four boys’ scores and then next top four scores regardless of gender. All competitors can win individual awards even if their score was not included in the teams score. Awards will be given within 30 minutes after all scorecards are turned in for that division. We will shoot 4 ends of 5 arrows at 10 meters (1st end is practice/ no score round) and 4 ends of 5 arrows at 15 meters (1st end is practice/no score round). If a student has a bounce out, they may raise their hand and an arrow will be replaced. If an arrow is damaged, the archer can raise their hand to get that arrow replaced. To keep things moving, the competitors will not have to score arrows. There will be enough volunteers to score for them. Volunteers are needed to help with the tournament in the areas of admissions, concession, scoring, lane judges, setup/cleanup, and/or check-in. Individuals interested in volunteering may contact Coach Stefanie Magee at (870) 310-1372 or stefanie.magee@smackover.net . Hosting a tournament takes a team effort. Our archery program does not have a budget each year and we have to raise all funds for equipment, tournaments, and any other expenses associated with the National Archery in the Schools Program. Coaches are volunteers and rely on the community support to help keep this a free activity for the students. We would like for you to contribute to our continued success with this program by making a donation to help defray from the costs of running a tournament. We are expecting 100 participants and close to 150-200 spectators. A list of needed items are below. Please contact Coach Stefanie Magee for any questions regarding donations at (870) 310-1372 or stefanie.magee@smackover.net . Posted in Buckaroo News on November 24, 2014 by The Buckaroo Blog. Posted in Buckaroo Community, Image format on November 22, 2014 by The Buckaroo Blog. Smackover High School had four students who recently accepted baseball scholarships. Congratulations to the following students and their families! Posted in Buckaroo News on November 21, 2014 by The Buckaroo Blog. The Smackover-Norphlet School District will be closed Wednesday, November 26; Thursday, November 27, and Friday, November 28 in observance of the Thanksgiving holiday. Additionally, school will be dismissed at 1 pm on Tuesday, November 25. We are thankful for our students and their families this year! Thank you for your support in making the Smackover-Norphlet School District an outstanding place for students to receive a quality education! Posted in Buckaroo News on November 20, 2014 by The Buckaroo Blog. 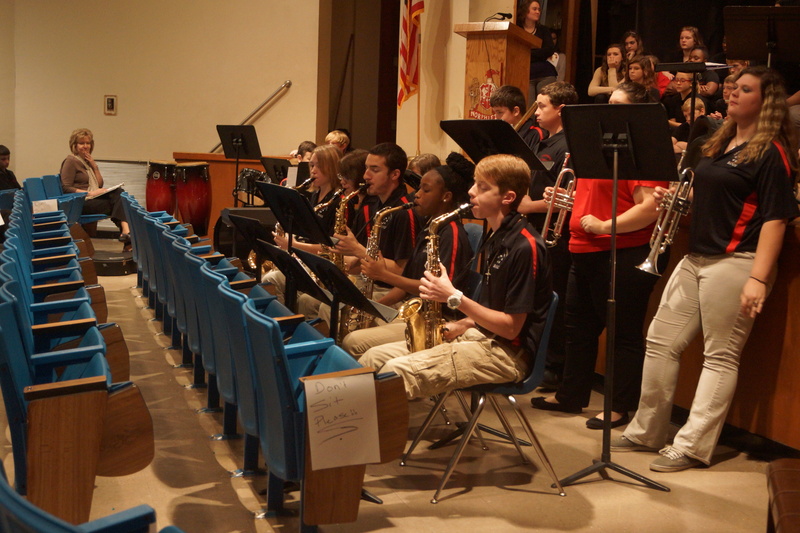 Norphlet High School held its annual Veteran’s Day Assembly on Tuesday, November 11, 2014. 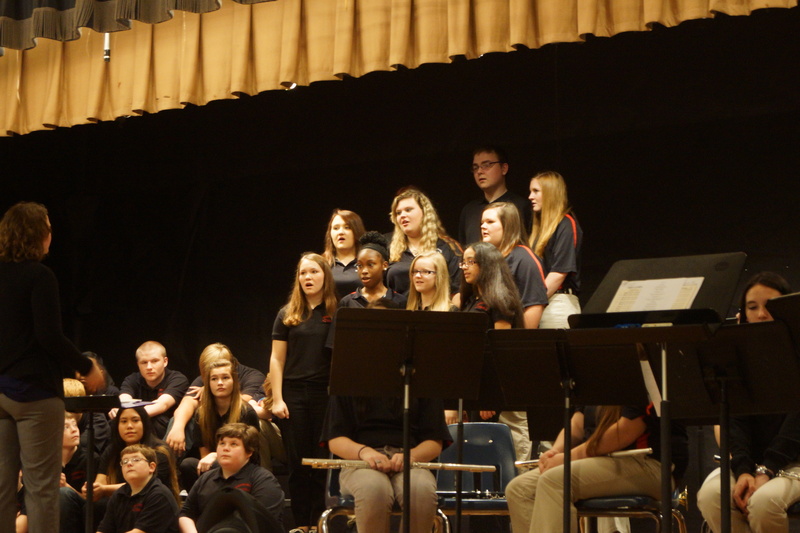 NHS history students read patriotic quotes and poems, the band and choir performed, and veterans in attendance were recognized. 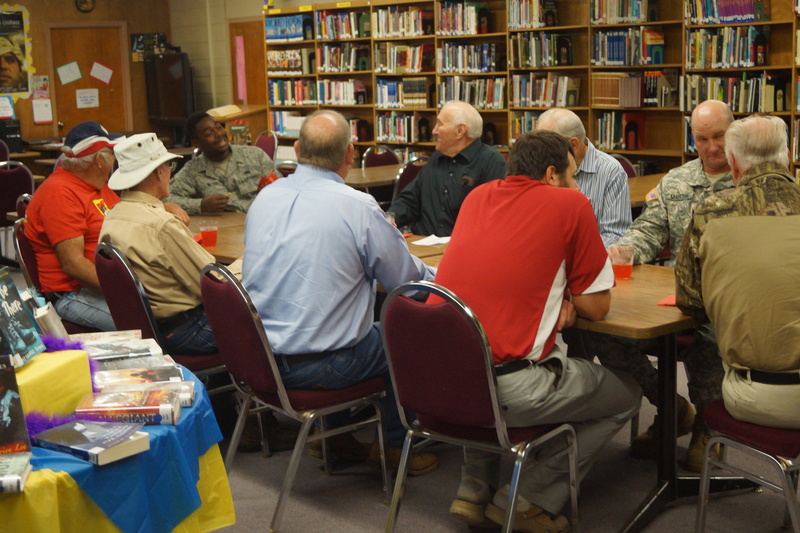 After the assembly, refreshments for veterans and their families were served in the NHS library. Posted in Buckaroo News on November 19, 2014 by The Buckaroo Blog. The Smackover Elementary School Student Council is sponsoring a food drive between November 17-21. 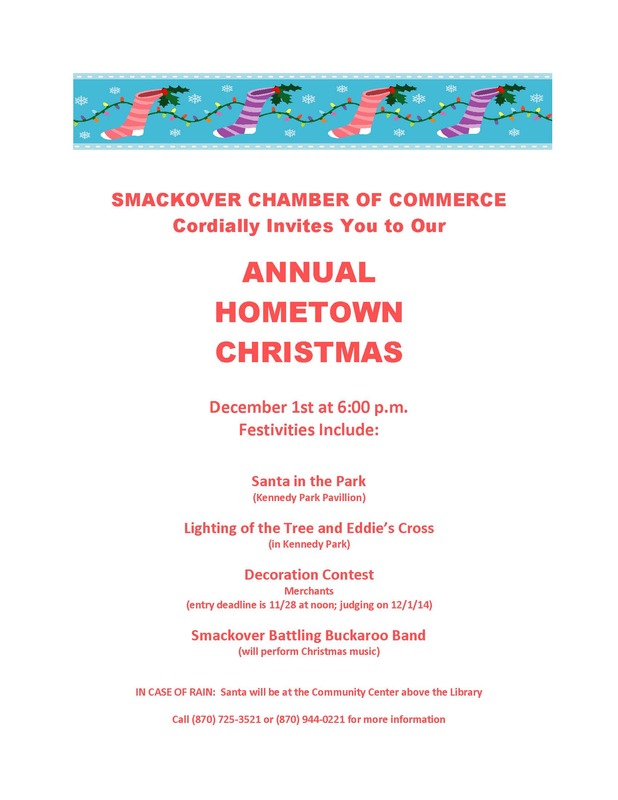 All food donated will be given to Helping Hands Ministries which is the local food bank in Smackover. The winning class will receive a pizza party. Posted in Buckaroo News on November 17, 2014 by The Buckaroo Blog.